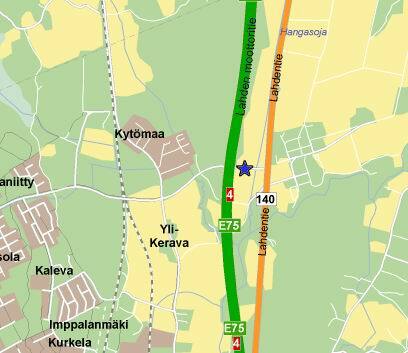 If driving from Helsinki along Lahti motorway take exit from Keravan ramp (exit no 8 Kerava South). From the end of the ramp take right towards Sipoo and from the traffic lights to left to old Lahti motorway no 140. Follow the road about 4,5 km and turn left to the industrial area called Huhtimo. Keep driving about 200 m towards beginning of Huhtimontie. Tapimer premises are located in the white hall on the right side of the road. WELCOME! If coming from Lahti direction take exit no 10 (Järvenpää South) from the motorway. From the end of the ramp turn left to road no 145 and keep driving about 800 m. Then turn right to old Lahti motorway road no 140. Keep driving for 3 km and then take right to industrial area called Huhtimo. Keep following Huhtimontie to its beginning about 200 m. Tapimer premises are located in the white hall on the right side of the road. WELCOME! Opening hours mo-fri 08:30 – 16:30.